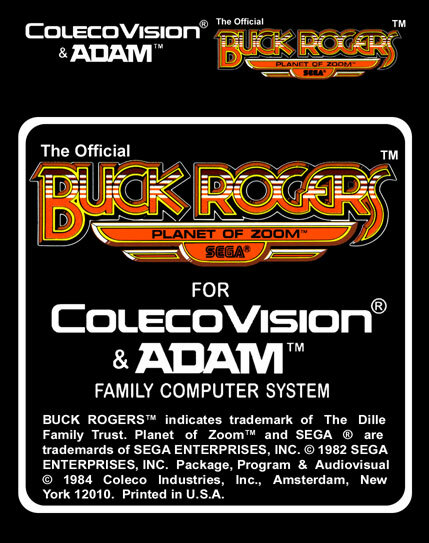 Buck Rogers™ indicates trademark of the Dille Family Trust. 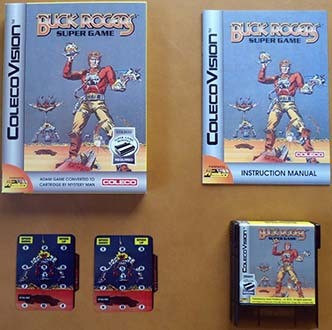 Note that the cover printing is bad. 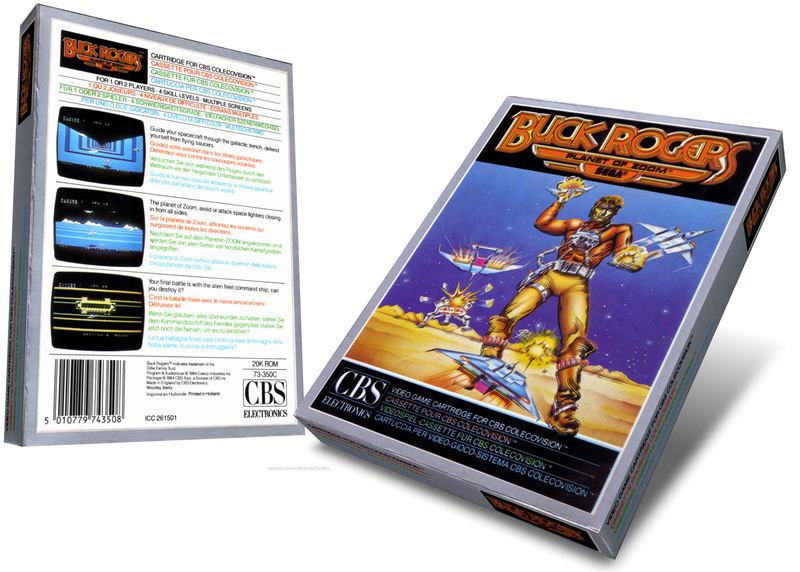 Step into the command seat of the Buck Rogers fighter for a true space adventure! 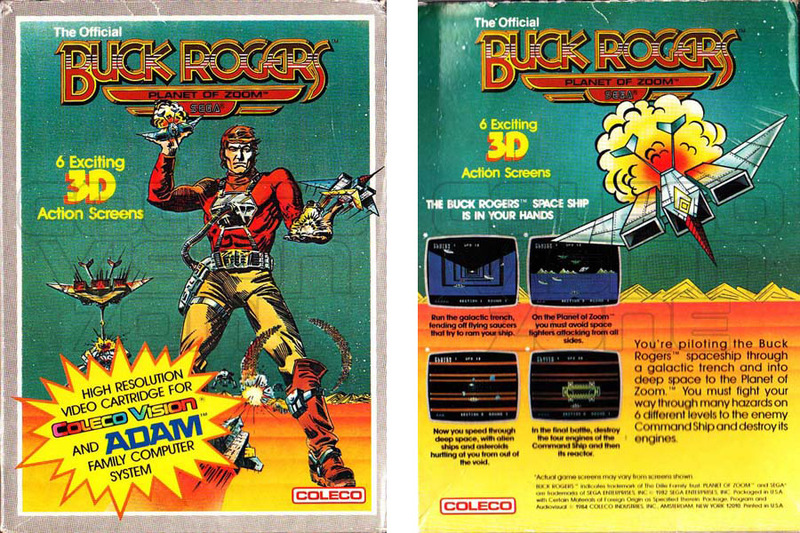 Follow Buck’s journey as you read his chronicle and set out for the Planet of Zoom. 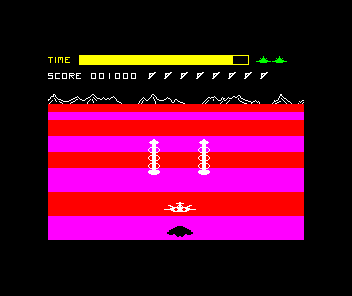 An alien intelligence has taken control of the area. 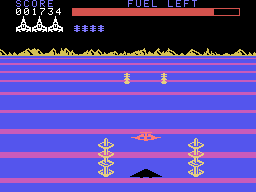 You must get there before the alien force devastates the planet. 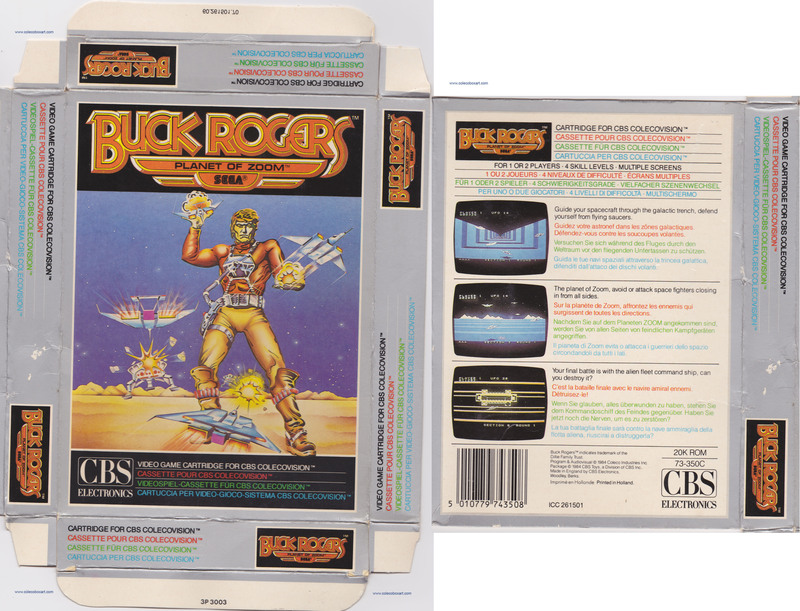 Buck’s problems are now your problems: fleets of alien spacecraft keep you from getting to the planet quickly and safely! 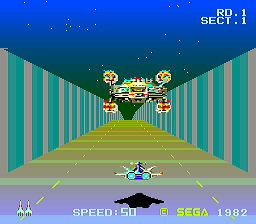 Port of Sega's arcade game released in December 1982. 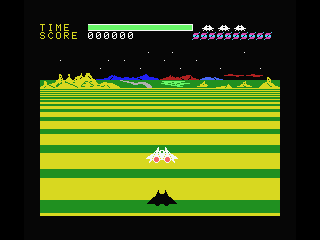 In Japan, the game is known as Zoom 909. 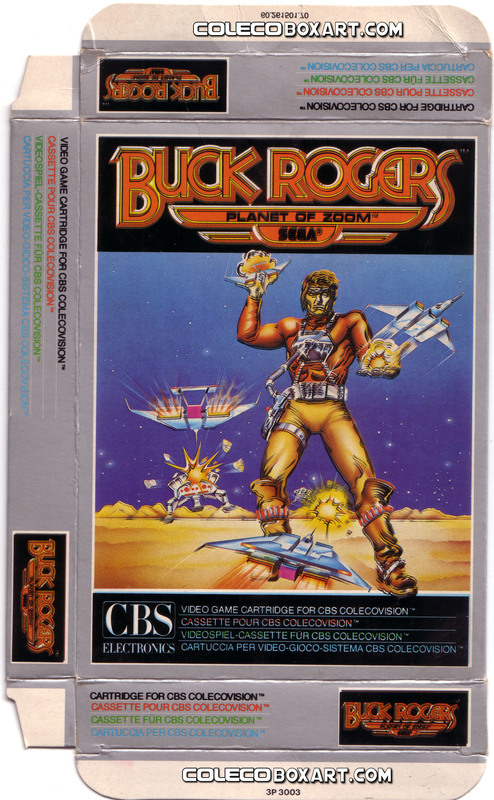 Buck is never seen in the game and its only real connections to Buck Rogers are the use of the name and the outer space setting. 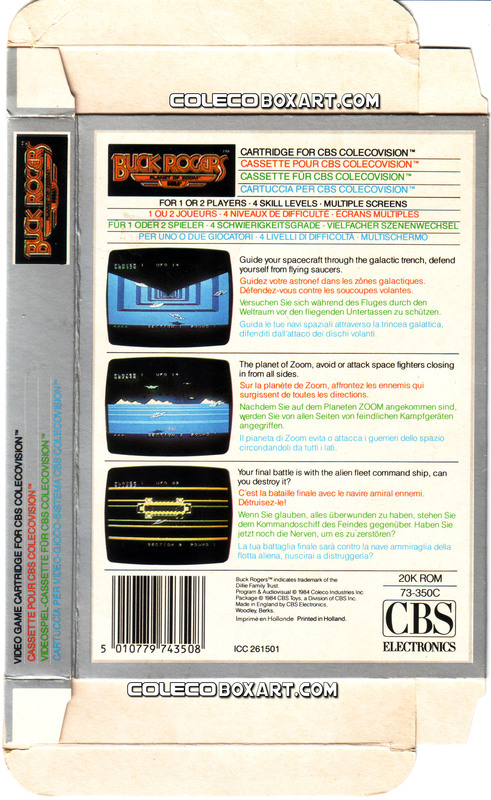 Buck Rogers: Planet of Zoom Super Game was originally planned for release on the ColecoVision with the “Super Game Module” peripheral. 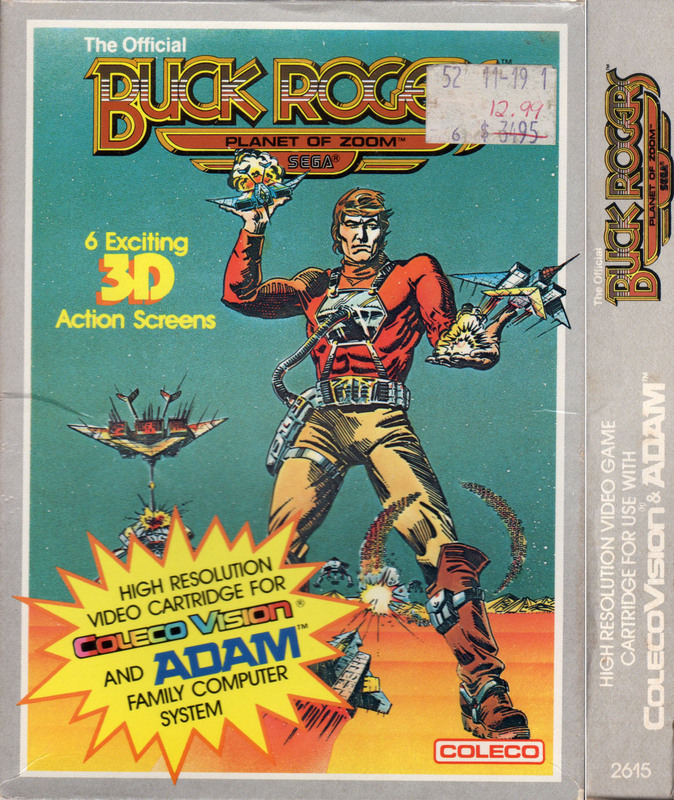 As the module was canceled the game was ported to the Adam computer. 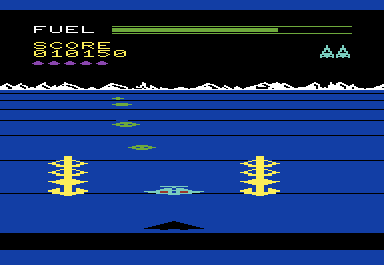 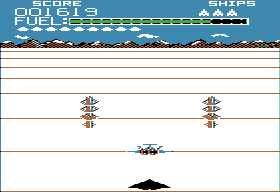 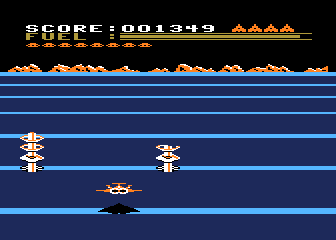 Extra content aside, it is mostly identical to the ColecoVision version of the game. 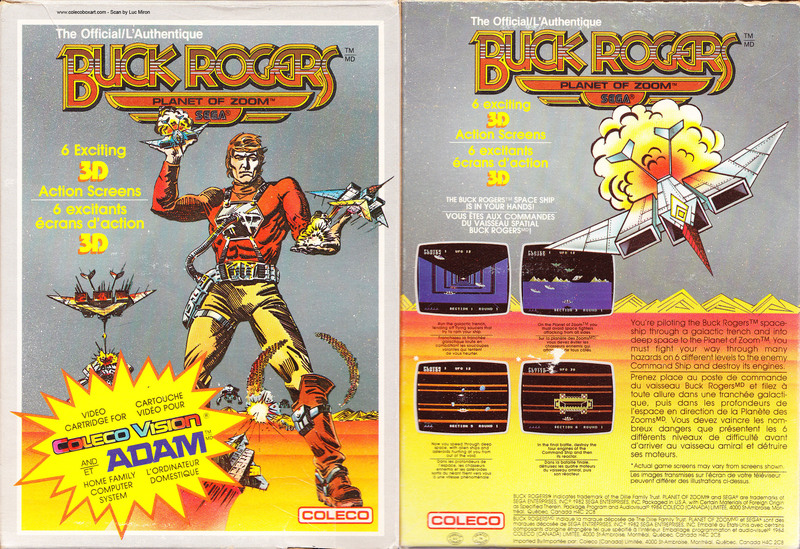 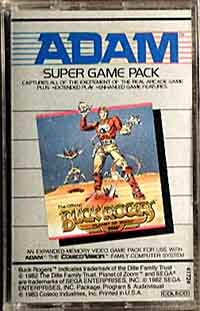 Buck Rogers: Planet of Zoom Super Game was both a launch title and pack-in game for the Adam, and so is amongst the most common Adam games in existence. 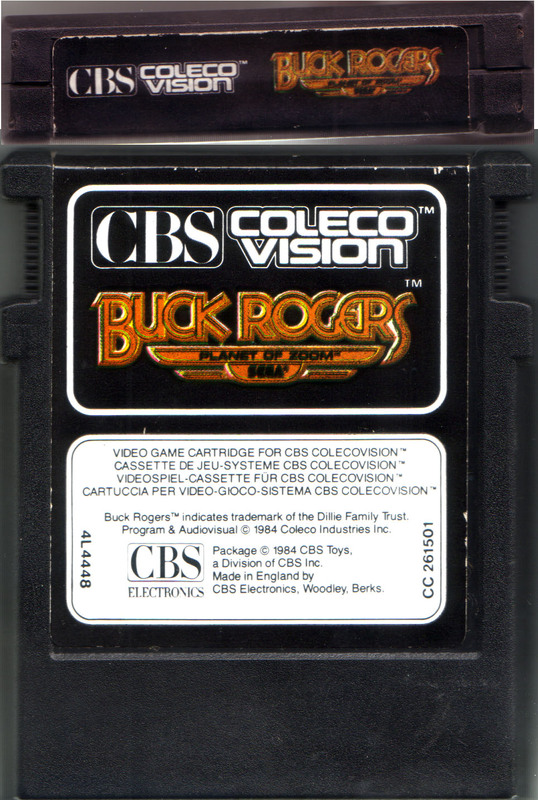 Team Pixelboy published a cartridge version of Buck Rogers Super Game. 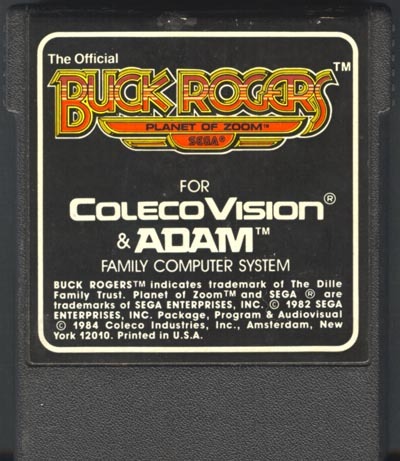 As it requires extra RAM, you need Opcode’s SGM to play it on the ColecoVision.